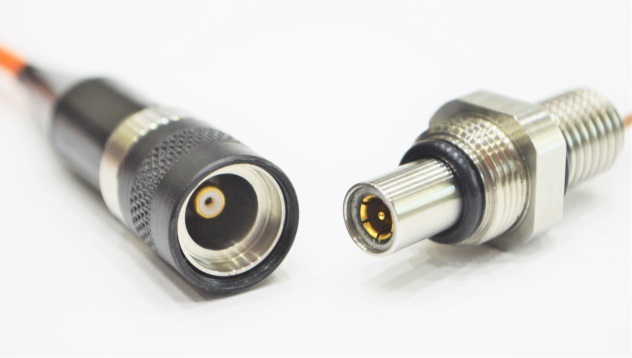 Our Mini-Coaxial Connector set was originally developed for a specific requirement where space and weight constraints prohibited the use of an ‘Industry Standard’ single-way coaxial product. CEEP’s Mini-Coax connectors are currently rated to 3,000m with a 15mm overall connector diameter, this product offers significant space saving benefits. It has been designed to accommodate commercially available 50Ω and 75Ω connector inserts and can be provided with male or female contacts in either mating half. Available as flanged or through hole mounted bulkheads, inline male and female connectors terminated to standard or customer supplied cables. A right angle moulded variant can be supplied on request. Supplied with a range of standard cable types to suit application, customer supplied cables can be accommodated subject to specification review.